While there has been a focus on the delay in promoting Ireland to elite Test status, less has been written and discussed on Afghanistan. It’s a pity, because this is a story worth telling – time and again. By announcing this week that India will play Afghanistan on their Test debut in 2018, the BCCI has launched this story into the realm of cricketing folklore. 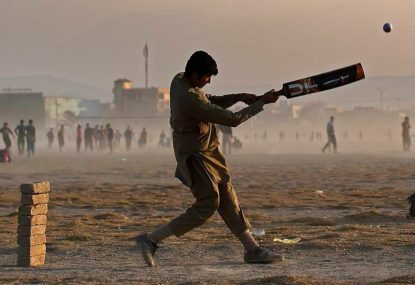 While cricket was played during the Anglo-Afghan wars of the 19th century, the game disappeared in the perennially war-ravaged country for a hundred years and only gathered popularity among Afghan refugees fleeing to Pakistan in the 1990s. They brought the game back in 2001, when the Taliban eased up on their rigid stance as an exception for the sport of cricket. Tim Albone talked about his experience in 2009 (yes 2009) while filming Out of the Ashes, following the Afghan cricket team over an 18-month period when they went from having no pitches, the entire team having never left their country, and players hesitating to step on to an unfamiliar contraption called an escalator at Dubai airport, to qualifying for the 2010 World Twenty20 in the West Indies. In 2018, 17 short years after the game was introduced into the wartorn country – in less time than it took India to win her first Test match (20 years), and the exact same time that it took South Africa to record her maiden victory, a mere blip on the timeline of Test cricket – Afghanistan will debut in Test cricket. That is nothing short of astounding. 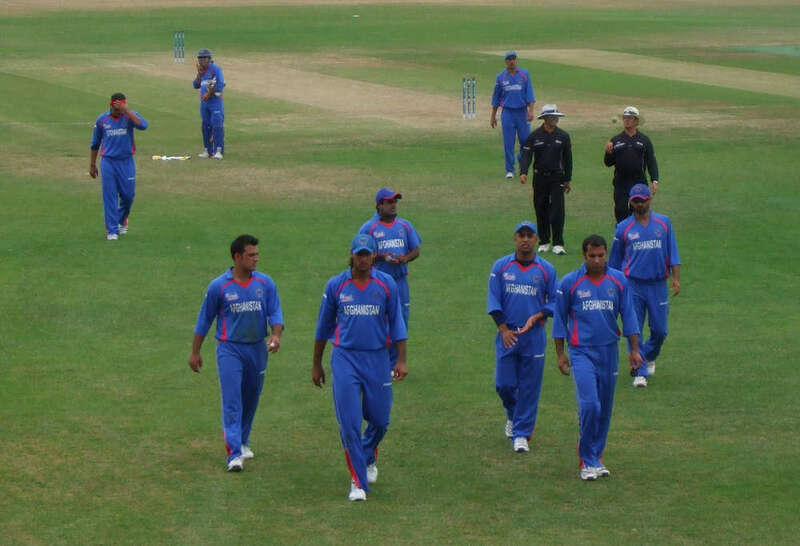 In 2009, Afghanistan failed to qualify for the 2011 World Cup at the qualifying tournament, but earned ODI status for four years in the bargain. When they played Scotland for the fifth place payoff, it was their ODI debut. For the second time in the tournament, and for the first time in an ODI, the Afghans beat Scotland. The journey had begun. Since then, Afghanistan has played 52 ODI against full ICC members and won 21 of them. Against Associate members it has won 22 out of 34. In February 2010, Afghanistan qualified for the ICC World Twenty20, where they lost to South Africa and India at the group stage. In both matches they gave a good account of themselves. Since then they have played 28 Twenty20 against full members and won 13. Against the Associates, their record is 26 wins out of 32. In a head-to-head comparison to their fellow debutants, Afghanistan has beaten Ireland in seven out of ten Twenty20 encounters and trail them by seven wins to nine as far as ODI are concerned. Astonishing numbers, given Ireland played their first ODI three years before Afghanistan and the first Twenty20 a year before them. Lest one attributes their success to being a team of near mediocre cricketers who play out of their skin as a team, it is prudent to remember that 19-year-old Afghan leg-spinner Rashid Khan has 70 wickets, with a bowling average of 14.48 – the best among all bowlers to have ever played the format with a cutoff of a minimum of 30 matches. The West Indies are unlikely to forget their decimation at his hands earlier this year, when Rashid took 7 for 18 in a magnificent exhibition. I asked VVS Laxman, who was launching my new book Spell-binding Spells in Kolkata a couple of weeks ago, why he chose to pick Khan and Mohammad Nabi – two unknown Afghan spinners – for the IPL team Sunrisers Hyderabad, which he mentors, when all other teams were bidding for established players. He said that they had seen videos of the two players bowling in other tournaments and had been tremendously impressed. They thought that the two, especially Rashid, would bring that aura of uncertainty and raw ability that could give an extra zest to the Sunrisers’ attack. Rashid took 17 wickets in 11 matches at an unbelievable average of 21.05 and a strike rate of a wicket every 19 balls. It is clear that Laxman’s well-deserved tag of being ‘Very Very Special’ now extends beyond his batting abilities! As if to demonstrate their impatience in the climb to the upper echelons of the game, Afghanistan has run through eight coaches in the past ten years. Starting with Taj Malik, their first homegrown player and coach, on to Kabir Khan, Rashid Latif and Inzamam-ul-Haq of Pakistan, with England’s Andy Moles squeezed in between them, the merry-go-round must have been daunting. But they found some stability when India’s Lalchand Rajput, who had won the inaugural World Twenty20 as coach of the Indian team and guided Mumbai to IPL titles, brought his experience and tremendous calming influence. He imbibed discipline and taught his charges that the team who stays in the game until the end is the one with the highest probability of going away with the victory. It is a pity that Rajput, with his family still in distant Mumbai, chose not to renew his contract because of security concerns – which are, of course, understandable. While he cannot be given sole credit for Afghanistan attaining Test status, he played a stellar role over the past couple of seasons in the team’s meteoric rise. Rajput has now been replaced by Dean Jones, who has been appointed interim coach. I asked Rajput recently what his experience was like as coach of the Afghan team for over a year and what was so special about the team. He was effusive in his praise for the players, very optimistic about their prospects, and made a point regarding what sets their players apart. “Think about the environment they come from and how they live. When you grow up and live every day with war around you, you want to be the best you can in what you do and put in that extra effort because time is so precious,” he said. It was also clear from my other chats with Rajput that the Afghan players are enjoying every step and it clearly shows in their game. When the BCCI announced that India would host Afghanistan in 2018 for their debut Test, I reached out to Rajput for his reactions. Not surprisingly, he was ecstatic. His hard work with them had paid off and it was his nation hosting his former wards. What could be better? “I am really happy that India will host them and play the inaugural Test match,” he said. But, given India took two decades to achieve a Test victory, what in his view is in store for Afghanistan? “They are a most talented team. Given the tremendous talent of the players they have I am sure they will do well. I believe they will adapt to situations quicker and better than other teams from the past,” he responded. While some may question how quickly the coveted prize of Test match status has been granted, given how the team has grabbed their opportunities and made their presence felt every step of the way, it’s merely what they deserve. In 2018, when Afghanistan faces up to India and Asghar Stanikzai goes out to toss with Virat Kohli – perhaps at the Eden Gardens, where South Africa emerged out of the shadows of Apartheid – history will have been made, even before the first ball is bowled. Whatever happens in the rest of the year in the world of cricket, there will be no moment more important than when the first Afghan run is scored and the first wicket is taken by an Afghan bowler. A nation that has suffered for decades will rise in joy as one. That, for cricket, will have been reward enough.